Ireland is called the Emerald Island, or “Emerald Isle,” because of its lush, green countryside. The poet William Drennan (1754 – 1820) first gave Ireland the nickname in his poem “When Erin first rose.” The Atlantic Ocean is the main influence on Ireland’s weather patterns, and the abundant rainfall it causes nourishes the county’s flora. Because it rains quite frequently, visitors to the Emerald Isle should be prepared for wet weather, no matter the season. Rain may fall during any month of the year, and some areas in the mountainous regions of Ireland can receive nearly 80 inches of rain per year. Generally, though, the rain falls at a very low hourly rate—only fractions of an inch at a time. Because the Atlantic borders the western side of the county, that region usually has more rainy days per year than the east coast does. Indeed, parts of the west can have rain on as many as 225 days a year, and as a result, the countryside in this region is much more verdant. 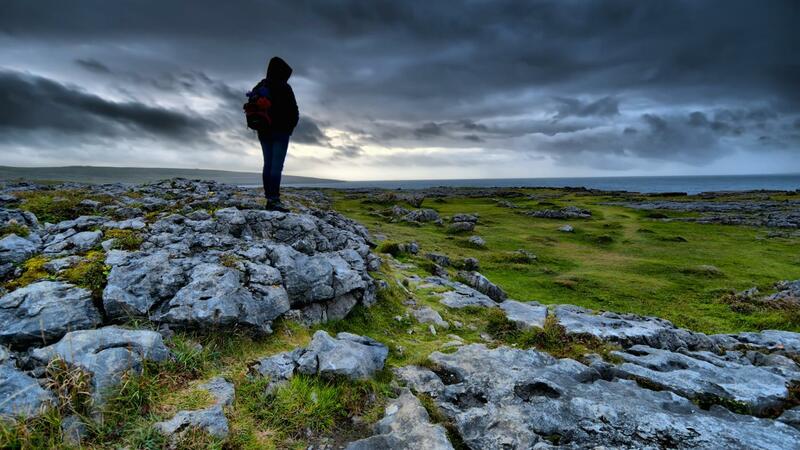 Ireland is considered to have a relatively mild and humid maritime climate without extreme fluctuations. The summer is rarely hot, and the winter usually has very little snow. Where Can You Find a Printable Map of Ireland? Where Is County Tyrone, Ireland?